Make more cards in an open studio environment with all the tools and supplies of the studio on hand. Get playful with your card creation by choosing from the bowl of Intentional SoulCollage® prompts. 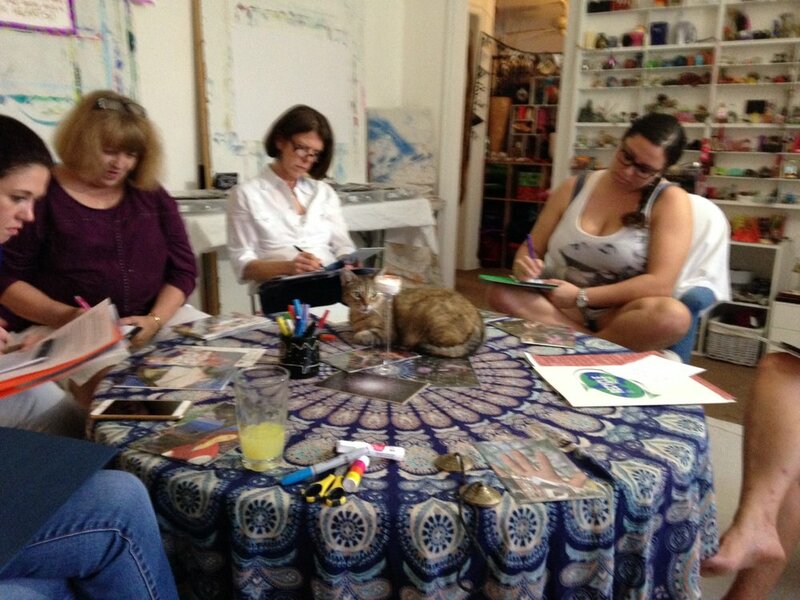 Discover the Depth hidden in you SoulCollage® deck! Spend some time with your deck sorting your cards into suits, and arranging them to find the patterns hidden with your deck that can lead to key insights about your history, personality and new paths for growth and development. We’ll decide as a group on a card reading pattern and break into small groups. This is where we discover the meaning and true value of our cards as their wisdom connects us with the our Soul’s true calling.